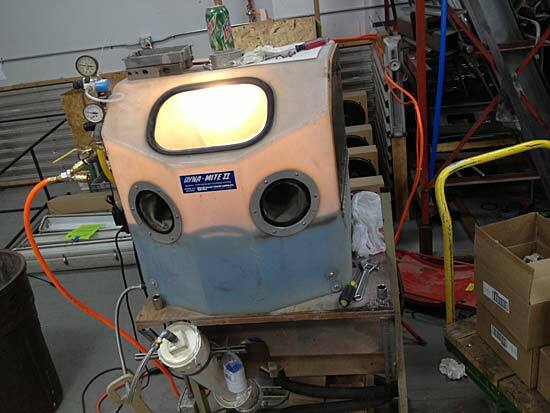 I’ve been using the sandblaster at Milwaukee Makerspace quite a bit lately, and I figured that I needed to push the limits of what is etchable by sticking vinyl on glass. 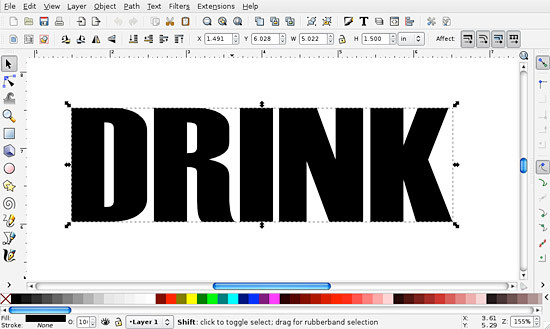 I started with the word DRINK in Inkscape as text. I wanted something big and bold, so there would be a lot of etched area. 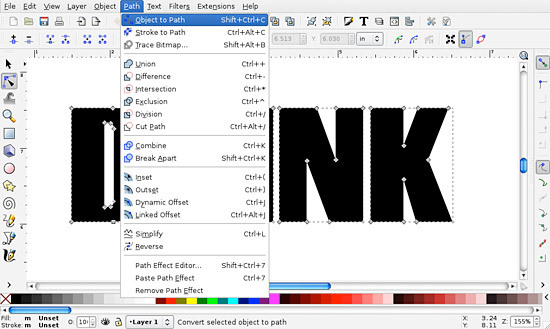 When exporting any text it’s a good idea to convert the text to art, or outlines. This changes it from editable text to vector artwork consisting of lines. Once this is done, you cannot edit the text anymore. Often I’ll save my original file with text, then make a duplicate I can convert to outlines. I exported both pieces of art as DXF files, like I usually do. If I ever need to quickly check my DXF files I use Solidworks eDrawings. Typically I don’t need it, but it’s handy for troubleshooting. 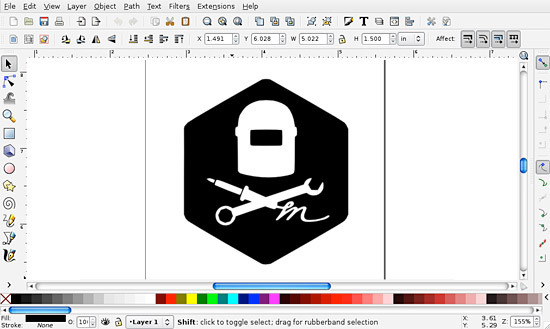 Once I have good DXF files I load those into the Silhouette Studio software for cutting, like I usually do. Close-up of the etch. Looks good! 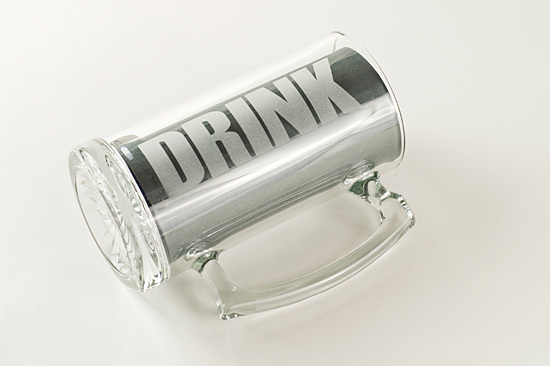 Combining the vinyl cutter with the sandblaster can produce some great results! It’s a pretty simple process, really. I’ve had a few members ask me about this so I may end up doing a demo or a short class showing how it’s all done. 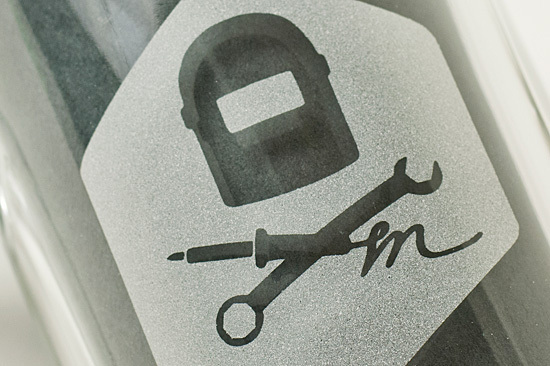 Disclaimer: You should never drink alcohol while operating power tools. Also worth noting is the only beer I really care for is root beer. 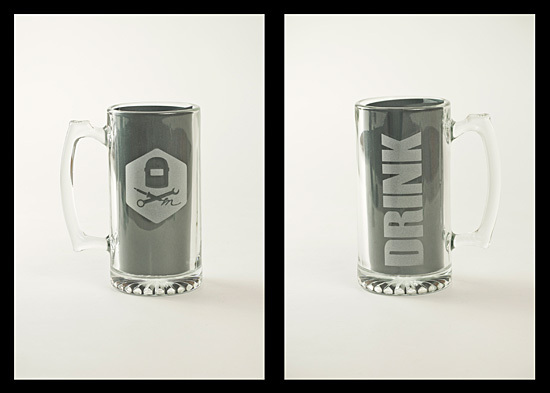 I got this mug from the dollar store for… one dollar! 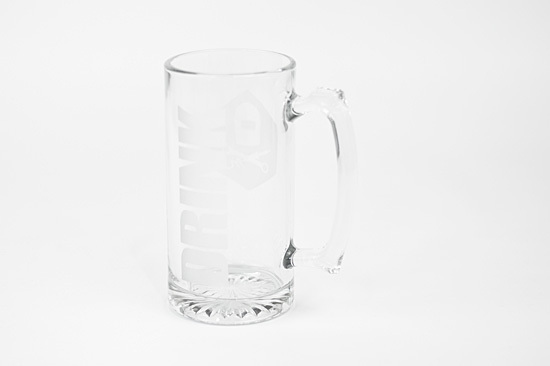 I just wanted to see how it would look etched. Posted on Monday, November 18th, 2013 at 8:00 pm. Subscribe to the comments feed. Both comments and pings are currently closed. Post on your own blog. 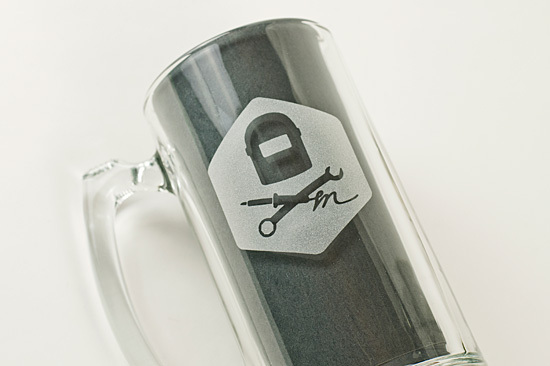 I’ve been really wanting to do some glass etching, and Pete was kind enough to do a workshop showing how. Unfortunately, I wasn’t able to spend as much time at the Makerspace as I would have liked to, so I ended up just copying what Pete did. Oh well, imitation is the best form of flattery?